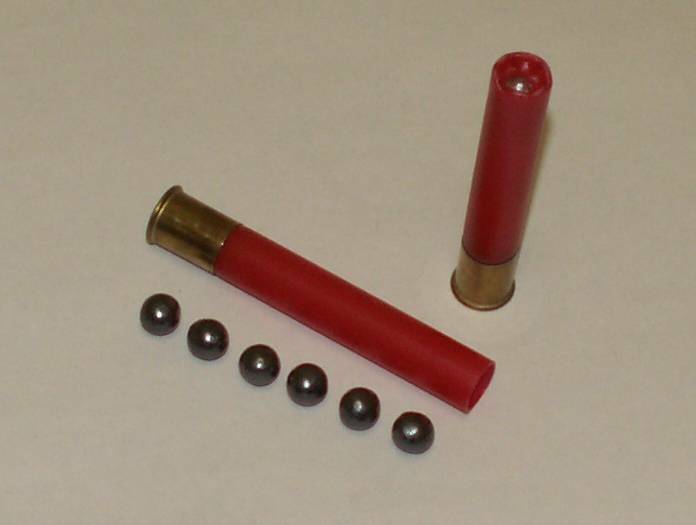 .410 3" 00 (6 pellet) Buckshot, case of 250 Discounts Apply ! Free shipping to the lower 48 when you purchase this product. Paraklese technologies is pleased to offer 3" 00 buckshot for its .410 fans, like the Taurus Judge or the Siaga semi auto .410. We roll crimp ALL our .410 rounds toinsure smooth feeding and easy ejection. A special alloy helps the pellets to resist deformation, thus assuring deeper penetration. This round has as its payload a bone crushing 6 pellets of 00 buckshot and has a velocity of 1,100 fps which yields over 800 foot/pounds of energy. *Important note: Please allow 4 weeks for delivery. We are a small but growing company that has been caught off guard by the demand for our products. We WILL NOT ship junk and as a result it may take us a few weeks to get your order out. Please make sure you give us a valid e-mail address so we can e-mail you a tracking number.